Organic gardening is a system that is used to grow plants using natural methods of fertilization, pest and disease control along with planting plants that can benefit each other. 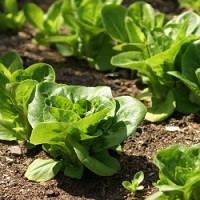 Growing your own organic garden is not that hard to do, and you will be surprised at the high yields of fruits and vegetables that can be produced. Techniques like succession and companion planting are very beneficial to this method of gardening. Organic gardening is done the same way as nature does in the wild, naturally. Growth, death and decay are the principals behind good nutritious soil. In the forest plants live and die. Insects, worms and animals consume them and release nutrients back into the soil. The nutrients are then consumed by plant life. There is no need for chemical fertilizers in a natural environment. Nature also has a way of controlling insects with natural predators and parasites. Organic gardening is basically the same as these natural cycles with one exception. When you harvest the crops from your garden you are removing them and not letting them decompose back into the soil, as nature would have done. So, you will need to add organic materials back into the soil. This can be done by simply composting. It is a comforting feeling to know that what you have produced in your garden is both healthy for you and the environment. Whether you build the home of your dreams in a rural country setting or a suburban or urban area, organic gardening can be just as enjoyable and rewarding.